At 1:30AM yesterday morning, Halloween, guests at the Grand Jomtien Palace Hotel were treated to the wrong sort of Halloween surprise when a faulty circuit breaker triggered a blaze in the hotel. 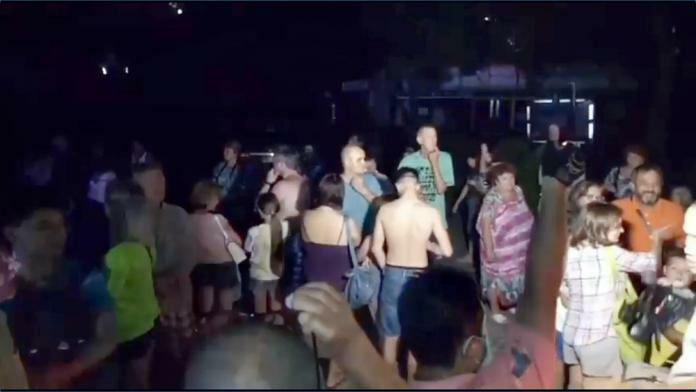 The fire triggered a blackout and complete power loss within the hotel as corridors filled with smoke and panicked guests, some wearing only underwear, attempted to flee through the nearly pitch black hallways. Emergency lighting, however, was correctly functioning. 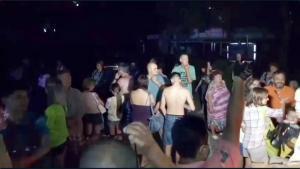 Police and Fire Department officials responded quickly to the scene and helped assist tourists out of the building. The blaze was quickly extinguished and no injuries or deaths were reported. The fire was based in an electrical breaker room on the 12th floor of the hotel and firefighters managed to contain the blaze within the room. City fire inspectors were planning a complete investigation of the incident in daylight hours. In 1997 at a different hotel in Jomtien, a blaze at the Royal Jomtien Resort Hotel killed over a hundred people in an incident that shook the city which long term expats and residents still remember to this day. In that incident, the fire exits and stairwells had been chained and locked by Hotel Management to avoid people leaving the hotel without paying their bill which led to the massive loss of life. Luckily, all stairwells and fire exits were properly maintained and open during last nights incident. Previous articleFilipino tourist struck by speeding vehicle crossing the road in Pattaya, seriously injured.